As a student and teacher of Ascension for about 20 years, I truly thought I understood this process but yet I knew deeply within me that there was more to the whole existence of our Higher Selves within the Physical. I studied deeply and worked diligently with meditations, ascension work, and lots of healing on many levels to fully release debris that was running through my Being for eons of time. Several years ago I knew I had integrated my higher self within my chakra system and thought that was it. I had fully activated my I AM Presence and I was integrated with the Cosmic Great Central Sun energies of Divine Mother and Father God. That activation took me two years to get used to creating within me. I became very ungrounded for several years and it took quite a bit of work to stay within this 3D world. I was guided to arrive in Mt. Shasta in the late summer days and felt my life would change drastically. Of course, I did not realize the extent that it would do so. I was in the land of Magic and Magic is what I have been about for a very long time. I felt at peace and at One with myself. So I thought…. My friend, Mike, arrived and stayed for three weeks. He decided he wanted to come back as we had a partnership to work on together. When Lord Adama told me that we would be working together, I had no idea what was in store for me personally. It has been a dream come true for Meleriessee. Christine needed to make room for her and it was not so easy to do. While Mike was here for five weeks, the intensity of our moments cannot be explained in words. One would have to actually experience them for themselves as I believe it is very personal. For me, as I have shared in the previous blogs, I truly embraced all elements that were shown to me. I have learned to trust myself, to release the blockages that kept me stuck, to love myself deeply as a Goddess and a woman in sensuality and sexuality, to be freer with my speech in love and compassion, to speak up clearly when something needs to be said even if it is the most vulnerable moment in your life, to fully trust another, and last but not least, to SURRENDER IT ALL. As a woman who has been very independent and on her own for 20 years, surrendering all of these elements is scary to say the least. I have had many moments of tears and not knowing where I was going. I went on the advice of all the Lady Masters and Ascended Master Beings who shared with me and Mike what we needed to do. In order to have the full reflection of our highest essence, there cannot be anything that stops it from being so in any moment. What do you receive in return? COMPLETE BLISS WITHIN….The Masters of the Ages have talked about it for centuries. Being At One with God and feeling that peace within completely and without reservation. As a human in the third dimensional Western World, this is not always easy. As one who has studied and learned deeply through self expression and listening to others, I have aspired to greatness within me. I thank Dr. Joshua David Stone immensely because without his work, I would not be writing at this time about these moments. I deeply delved into all of it. So when it was time for me to fully surrender onto the Lady Masters and my new male partner, I knew within myself that it was my only choice. My pathway has always been the High Road. I will not accept anything else and it reflects my relationships completely. Many have come and gone in my life but I am deeply assured within myself that I am now reaping the rewards that are way overdue in my life. When it was time for Mike to leave for the holidays, I was beside myself. I knew I had chosen to be inMt.Shastabut we spent 24 hours a day together doing this work and I fully surrendering everything onto him. I became scared and when I do this, I want to isolate. I wanted to run so bad so I would not have to face anything. One such night I felt these feelings before he was leaving. It was not about him, but me. If I surrendered all to him and something happened that I would have to take care of personally, how would I be. Would my male essence completely take over again? 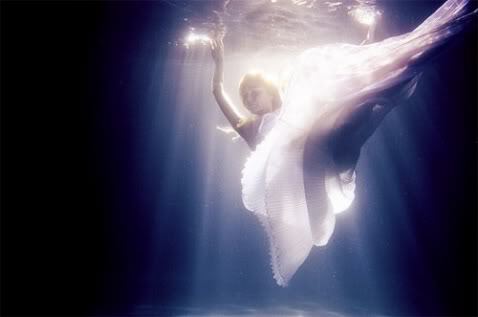 They came flooding out of me ~ I wanted to die, to leave the Earth, and to be in Spirit. These are all words I have felt so many times over and over again in my transformation of many years. I knew that I was l literally dying. I have to thank Mike for his compassion because without it, I would not have done as well through the process. In a flicker of a moment I heard, Christine say, “Goodbye, Meleriessee, I am leaving. It is time.” I felt the old self leave the body and fully allowing Meleriessee to take residence in the lower legs. No longer was she just in the chakras but fully in my Earth Star. It was an amazing moment for of exhilaration but yet, sadness. Christine endured so much and the pain she had needed to leave ~ so there she went. I was given a lesson in awareness of being alone. I had an emergency where I almost had a flat tire 60 miles away fromMt.Shastaafter driving on a mountain highway. I was protected and that tire could have blown on the road. But it did not. And, I found a tire shop to have it replaced. I did not struggle with the issue or panic as I have done in the past. I knew that my surrendering the male essence then put me in a balanced state. It truly was a great gift I received from Spirit. The Lady Masters allowed this to be so for me. I know could fully embody my Highest Essence in the totality of my physical existence. But now I needed to fully integrate it all and allow it to be grounded. There is aBuddhistTempleinMt.Shastaknown as the Shasta Abbey. I felt a deep pull to attend their Christmas Eve ceremony which would be different in which Quan Yin was directing me deeply. The night before I chose to go to Stewart Mineral Springs and do their mineral baths of soaking in the bath, with a sauna, and a quick rinse (usually in the creek but it was frozen, thank heavens). The bath segment really released the rest of the toxins in my cellular level that allowed me to fully clear the extra debris within those levels. I was greatly affected by the baths. On Christmas Eve I went to the Abbey and was met by one of the monks at the gate. The complex was huge (13 acres) as she guided me to the Ceremonial Hall. I definitely felt like I was experiencing one of my excursions to the Golden Cities in our New Earth Circle of Light calls. She showed me a shrine of where the woman who started the Abbey was buried. I walked around it and felt her essence come to me. The ceremony itself was very strict with the monks coming into the hall singing. Members of the congregation read scripts which represented Enlightenment. Everything that was recited really resonated with all I have gone through my entire life with judgments, karma, and rebirth. I felt the essence of Lord Buddha strongly as I looked at a beautiful shrine on the altar which was all lit in gold and about 15 feet in diameter. Quan Yin was very prevalent as I was remembering a lifetime I had experienced with her essence. There were moments of tears which were not sadness but truly acceptance. It was exactly were I needed to be on this day. Christmas morning I had scheduled a teleconference with some of the individuals on our calls and Mike saved the day. He called in, thank heavens, as I was still running around the Inner plane for another 30 minutes. That was divinely orchestrated also as he had the chance to channel some energies for everyone. After the call, I went out to take a walk. I had breakfast first and a very interesting encounter with a very special being of Light. A gentleman with blondish hair and a cap on sat in front of me expressly intending to talk with me the entire time. The conversation was all about metaphysics and his energy was quite intense. He had beautiful blue eyes and I was thinking, “Okay is this a Light Being, a Master, or just a regular guy inMt.Shasta.” He shared many elements about intergalactics, Telos, Adama, other dimensions as the list went on and on. I went on my way and he emphatically told me “You have a very MAGICAL day.” I knew at that point that he was someone very important. 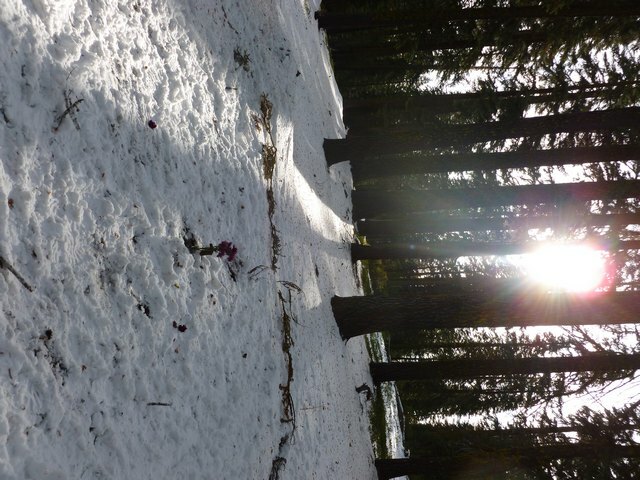 I went down to Siskiyou Lake and walked through the woods. On my way back I felt a huge surge of electrical energies and immediately saw Lord Adama. I stopped as I knew what was happening. He was showing me that he was the gentleman in the restaurant. I said “NO”, and he said “YES”. I became so emotional and felt so amazed that I was gifted on this day with Lord Adama’s presence for my Christmas morning. I felt so very blessed. This was the second time in my life that Lord Adama had decided to meet me in the physical. The first was over ten years ago at a Wesak Ceremony here in Shasta. My week has been very interesting, and my work is very powerful on a personal basis. I was asked to work with Jeshua (Jesus) in Telos for the week. I spent the first day almost sleeping for four hours and my nights have been strange. Being alone has been a challenge but I chose this pathway so it is all happening for a reason. Yesterday the feelings were very intense. There is another twist to this story ~ New Year’s Eve is my birthday and I was feeling the aloneness. Lord Adama and the Team of Light have specifically asked Mike and I to be quarantined from many people due to the frequencies we have been undergoing. So my stay here alone is very isolating. Yesterday morning Jeshua talked with me in my meditation and told me that my pathway is no longer of the third dimensional world. It was important for me to let go of the old ways of being even though they were emotional to me. I was being guided to do so much more and that was why I was alone. I then was gifted to know about my role in his life during the lifetime of Jesus. I am not ready to share this information presently as it is still very raw with me. What did happen for me is an awareness of why my life has been the way it has and why it is moving into a completely different scenario than I ever imagined it could be. Next week Mike will be returning and we will continue with the calls, the work, and our connections with one another. Meleriessee is now completely within my body and I am still trying to get used to that. I will always be Christine. My mother chose to name me Christine because of the holidays but I now know there is much more to this story and timeline for me. It has helped me to realize that there is so much occurring for each of us in all of our timelines. It is a time to fully remember our essence of who we truly ARE. Not what we think we should be. Life is very different for me and it is a fairytale. Like many of you, I came from great dysfunction, and I healed from it deeply. I thank all of that dysfunction as it helped me to grow into the woman I am today. I thank all the individuals for coming into my life ~ good and not so good ~ as they have molded me to be whom I AM NOW. Tomorrow I will be starting anew on my birthday. Every other year I went to the beach in South Jersey for a sunrise ceremony, and this year I am in Mt. Shasta. Meleriessee will have her first birthday celebration in the mountains which is something I have never done before. I was sad a couple of days ago but today I am elated with my newly created life that my Soul’s Essence has chosen to live. It is exciting as I have love deeply within myself and with another that is beyond my wildest dreams. I hope that 2012 is just as special for each of you as we all walk together onto the New Earth. This pathway that I have chosen is something that Christine being in the physical would never have accepted. Without the accelerations and the ability to fully tap into my highest essence in my daily life I do not think I would have the accessibility to create everything that has happened. Let’s face it ~ we all want to be full in the Core of our Hearts but with the physical mind and humanness that we deal with these elements of change are very tedious and at times seem almost so debilitating to our physical essence. As many know, my pathway has always been on the ascended mastership level and I am at home with Spirit on the Innerplane. What I have experienced is miraculous, and I thank myself every day for each moment. Especially the moments that have been extremely challenging. I knew that walking through these doorways of accepting the Lady Masters into my life would be life changing, but never in my wildest dreams did I think that I would receive the Core of my Being fully activated. I share all of this with you because it is possible for each individual to experience these elements within our physical existence. But there has to be deep work that is being done for it to be fully realized within our physical existence. This is what the New Earth consciousness is so much about ~ walking through these doorways physically with our newly founded essences. I was then gifted with Lady Nada who helped me to see my full divinity within me. I needed to allow myself to be fully devoted to my own cause. Without all of these aspects of the Lady Masters within ourselves individually, we cannot do the walk that they have done. We talk about giving forth these elements onto others but in the deepness of our own healing, it is imperative to fully activate the parts of themselves that they give so freely onto our own Beings. If I learned nothing else from this pathway, this is the main course. Giving to myself is giving to others as the reflection within me grows outside of me. Lady Nada gave me the devotional worship that I needed and cherished within myself as a woman, as a Goddess, and as a bringer of Light onto this world. We, the women of this Earth, are the initiators and need to express it within ourselves so that we can share it onto others, especially to the men that are becoming more fully aware of their own part in the scheme of the balancing act of the Yin and the Yang. If I learn to fully respect myself, then I cannot help to share it with another. It is all those elements we hold so deeply within that are our protective mechanisms that keep us stuck from the full essence that we truly need to embody. Lady Nada showed me so much and continues to do so this day. Her essence became my essence and shall never leave me as all the Ladies have done. But I have a deep connection with my soul onto her as she was Mary Magdalene. I did not know how deep this connection grew until very recently, but it truly has shown me this pathway that I am walking upon. We, as women, from times long ago, either are afraid of their own sexuality or over abuse it. We are not in balance and Lady Nada shares the essence of our own sensuality and sexuality within us along with Lady Isis. These two ladies have helped me the most to adore myself completely and without judgment of lack of perfection in the physical creation of my body. I was then able to move through my day as if my feet were light as a feather and could allude an awareness of pureness and joy through my movements. It is not about boasting or the ego as that is gone; it is about the inner reflection and how I project my own essence onto the world. They showed me so much through this process. It was also a time when I was ready to trust myself and have others around me accept that trust. Without those elements, again, I would not be writing these words to you. Lady Portia then showed her essence onto me and gave me ACCEPTANCE of everything I had been experiencing. I was not dreaming and it was actually happening. I saw how the relationship and friendship I was experiencing in my life was changing due to my own inner insecurities being removed and accepting my newfound essence as Meleriessee in my physical existence. How can it not be any other way? The other element is how it was affected my work. Michael became my partner and he introduced the energies on each of the calls, he took care of the technical connection which allowed me to relax and prepare for the channeling that I would bring forth. Many noticed a dramatic improvement in my expressions of the information. The frequencies became higher and I finally had allowed the male essence to take a step downwards and fully blend with the female essence of projecting the light vibrations onto others. From this point forward others came to us: The Elohim Masters of the Seven Rays integrated their energies into both of us, Helios and Vesta asked to be conduits along with the Pleidians, Telosians, and many other light beings. The list goes on and on and continues at this point. We know that it is probably never-ending, and we are here to assist many others that will be going through the same processes. We are still being integrated. At this time, Mike is in the East with his children for the holidays and I have experienced an amazing journey on my own which I will share in the next blog. It is much too important and needs to be expressed on its own. It is the enfoldment of Meleriessee completely within the body of Christine. I thank you for walking with me during this time, and am here to assist you if you are going through similar processes. Each of us will be doing so as we are preparing to fully live in the 5th dimensional state of consciousness. The Essence of Meleriessee ~ How Deep Are You Willing To Travel for the Love of Yourself? This journey that I have decided to embark upon is one that is very personal but yet, I feel very important for others to see that it can be done. The outer reflection of what I am feeling presently cannot be measured by words or thoughts, but fully walking upon the pathway each of us chooses. It is now at the end of the year and I want to recap what has occurred so that others can fully understand and accept their own choices in each moment. So my story will be shortened in order to give a recap of some of the moments that occurred but that does not mean it is lessened in any way, shape, or form. What I was able to acquire is beyond my wildest dreams but the walk that I had to do was in no means easy to do so. It is with great reflection that I write these words as they are truly deep within my own essence of Meleriessee as she is now fully embodied within my physical existence. Each of these elements that I created and walked through are just as important as the previous or the next. They are all stepping stones in what I was able to create for myself completely within my physical vehicle. The foundation of this journey has been almost 30 years of hard work and toil of looking deeply within myself to fully combat the negativity and lack of faith I had within myself. I take full responsibility for all that I encountered and my soul created each moment before and during my birth onto this Earth as Christine. This could never had been achieved without a wonderful mother whom I have just realized had more of a major part of this pathway than I thought within her Soul’s Essence and a father who challenged me in more ways than I can imagine. I thank both of them for being there in the pain, the sorrow, and the joy; thereby, allowing me to have the great courage I would need to walk through these doorways of darkness into the light that I Am now. In my previous writing I shared how Quan Yin had come to me to express the compassion I needed to express within myself. During this writing I will share with you the other Lady Masters that did the same for me. Each of them is honored greatly, and they are fully embodied within my essence. It has taken me quite some time to fully realize within me the magnificence of what I have experienced and how the enfoldment of the Goddess that I Am has taken on new meaning for me. Lady Lakshmi was the next essence to share onto me her beautiful movement within her Being. I always loved Lakshmi when I channeled her as she brought to me such fluidness and always moved my arms around the room as if I could fly away. This was the stage of growth that was so much fun to me. I now was able to just fling my arms around and say “I am moving, I am fluid, I am flying like the wind”. It was a wonderful expression to have within me. Whatever appeared for me in those days, I could just dance around the room and be totally free. This is not something I have done very well in the past. I have always been very serious and found it difficult to laugh at myself. Lakshmi showed me that there is nothing too serious that cannot be played with although in its moments seriousness has a major role within our lives. Expressing myself in this way was new and different especially with a male friend right by my side. I now was fully sharing myself in a way that none other had experienced. The depth of what happened to me cannot be explained. It is like an open wound and that wound needs to heal; it will not heal until all the excess debris is fully removed. How do we as women show ourselves to a male friend and not feel as if we are being judged? That is a difficult one to handle but yet in that expression, each of these Lady Masters then incorporated their energies onto him, and it was his turn to see his own expressiveness. We were on quite a journey with each other that neither of us expected. As I integrated each of these ladies of the Light, they then imparted onto him as it could not be helped. We shared our energies through our eyes and touch each morning. We had a strong foundation as friends but yet both of us had our own issues. Me, being, the emotional one, always brought up my feelings and usually cried through the process. He had a way of helping me understand with his male essence through my mental level. At this point, I was told to completely surrender my male essence onto him and he would be there to assist me. Well, for a woman who is completely independent for many years and have had to exist on her own, do not think this was easy. But something within me told me there was no other way. In order for me to survive and allow the essence of my inner self to be realized, surrender was my middle name at this point. It was at this juncture that Lady Pallas Athena stepped forward with her energies. Many do not relate to her and I can tell you why. TRUTH is her essence and she truly showed me what I needed to look at within myself. This was so deep within my inner core of eons of lifetimes that I have hidden away from elements that did not serve my present circumstances. If I can trust myself completely and with love, then the trust comes from all around me. It is when we cannot trust our own feelings and actions that we create relationships in our lives to be unworthy. Again, it goes deeply into what we create and it is our reality that we are being shown even if we do not like the feeling we are experiencing. As I learned to trust myself in being very vulnerable with Mike, I was then able to receive what I always needed: respect, trust from him, and deep love. If I love myself so deeply, how can I not feel the love that he sees within me? We are all mirrors for each other and we had been told by many ascended beings that we were being reared for greatness in our pathways. We are Twin Flames and were in training to be Twin Rays. We did not know what this would entail only that Spirit kept saying it would get better and better. 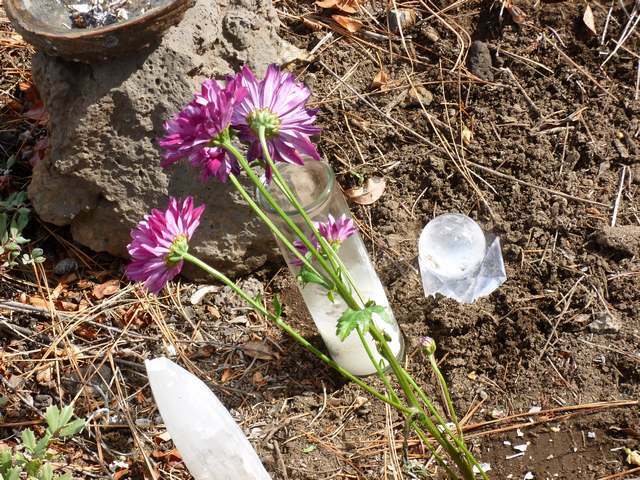 In the meantime it was deeper and deeper with each activation and ceremony that we would create in nature. Without those ceremonies and the guidance we received, I would not be writing these words at this time. It was at this time that Mother Mary showed her presence in my life. She was quite refreshing after receiving the energies of Pallas Athena. There were many moments that I felt deeply raw in my essence as the wound was now open like it had never been before in a physical body. Everything was exposed and Mary showed onto me how to fully allow the nurturing she assisted me with in these moments. Her energies were so fluid and healing for me. It was a time that I could fully accept the changes that were occurring for me. All the while my friend, Mike, was going through his own integrations, awareness, and healing within him. We had a way of really supporting one another through each phase. Our relationship became an ebb and flow like I never thought I could realize in this lifetime. If we had issues, we talked about them and supported one another through the process. The old way of not being accepted was not part of our reality and fully allowed each of us to be in our full presence at all times. Then Isis and Osiris decided that they wanted each of us to channel them so they could converse. This was a very interesting phase for all of us, both Isis and Osiris along with Mike and myself. We all changed deeply in these elements and I, as Christine Meleriessee, felt Osiris’ love of Isis deeply. It was an amazing journey for me to experience such depth. I cannot speak for Mike except at this time, his higher self staring becoming more active as Ara. We would converse with each other during our energetic sessions as Meleriessee and Ara and not our physical names. This was another integration point for both of us. I explain this about each of us because without his essence as Ara I would never had become Meleriessee fully. This was entirely orchestrated by our higher selves, and it is my personal account of our journey together and in no way reflects what Mike or Ara may have been feeling. It is my perception of the energies together. He helped me deeply to fully surrender as the Goddess needs to do and let go of my male essence that was no longer needed to survive. This process took many days and did not happen overnight. Some days I did not know how I was going to get through the next moment with the tears of releasing eons of moments in my soul’s history onto the physical existence. This has never happened for any of us before and without the work I had done previously it would never had been possible. So at this point I am feeling the love within me deeply but the journey was far from reaching it’s destination. There were deeper and deeper moments to come from more Lady Masters. The depth of what I have experienced cannot be measured in time as it is lifetimes and lifetimes of feelings being revealed onto this body known as Christine. Please continue to read the following blogs as this story is still unfolding very deeply. Author Rev. Christine Meleriessee and Rev. J. Michael Ara HaydenPosted on December 30, 2011 Categories ascension, Awareness, Goddesses, higher consciousness, Higher Self, journey of Light, Lady Masters, light workerTags ascension, Christ Consciousness, Earth Healing, Golden Era, higher consciousness, I AM Presence, light work, mastery, Self Love, soul healing, spiritualityLeave a comment on The Essence of Meleriessee ~ How Deep Are You Willing To Travel for the Love of Yourself? 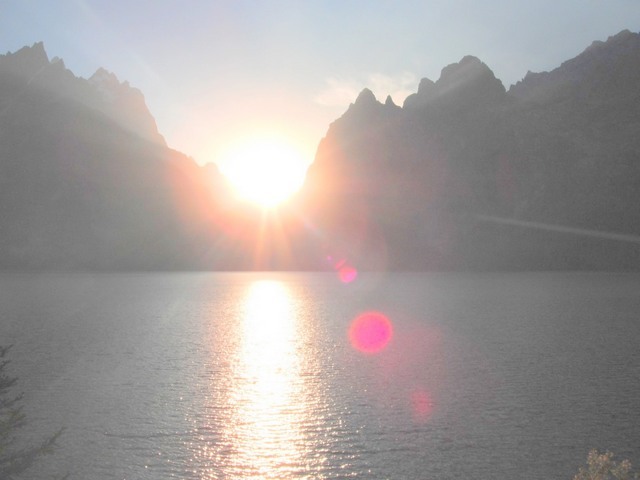 As of December 15th the Teton Retreat is open for 30 days culminating on January 14th, 2012. What does this mean exactly to those of us that wish to balance our frequencies upon this Earth to create the new frequencies in order to assist the planet? The Royal Teton Retreat is the largest retreat in North America and is run by Master Confucius and Lord Lanto as they are dedicated to the radiation, expansion, and manifestation of the Divine plan for this planet. The Lords of Karma meet in the retreat twice a year at the winter and summer solstice to release new dispensations from the Alpha and Omega to respond to good will petitions from Students of the Light. The retreat releases the flame of divine illumination and the light of the Divine Mother to the Entire Planet, “Etheric Retreats”. This is an experience that I believe everyone should take full advantage of in their pathway of Creation Upon this Earth. I facilitated a Full Moon Ceremony on December 10th in which we met in the Etheric Level of the Teton Mountains and then traveled to the Royal Teton Retreat under the guidance of Saint Germain. One can intend to be in the Retreat on their own; in addition, the meditation to the retreat is available on my site page: Audio & Video, http://lifestationearth.com for download. This is given to individuals as a service and if you so desire to leave a Love Offering it is greatly appreciated. In the process of this journey you will meet up with each of the Ray Chohans of the Seven Rays of God. You can work with any of these ascended masters, the Elohim, and Archangels of each of the Rays. In addition the Karmic Board is present to assist in removing any debris from karmic ties that you may have been needing assisting in removing and regenerating oneself. Part of the meditation has everyone sit in a special chair with controls to see a viewing screen of any past or future events that may be pertinent to One’s pathway. This meditation can be done several times to assist each individual in their specific pathway to enlightenment. In the name of the Christ, My Own Real Self, I call to the Heart of my Mighty I AM Presence, to the Angel of the Presence, to Beloved ARchangel Michael, Quan Yin, and the Maha Chohan, to take me to the Retreat of the Royal Teton at the Grant Teton in Wyoming, according to the will of my Holy Christ Self and the direction of the Maha Chohan. I ask to be instructed on the law of wisdom and to be given the formula for the victory of the flame of illumination within my Heart and Crown chakra, especially as it pertains to the gifts of the word of wisdom and the word of knowledge. Beloved Confucius and Lanto, help me to remember upon awakening all that will help me to fulfill my mission on earth and the mission of my Twin Flame/Ray. I accept this call manifested through the power of the Christ and am thankful for its realization. In the name of the Father, the Son, the Holy Spirit and the Divine Mother, Amen. Remember that the retreat is open for the next 30 days through January 14th, 2012. The Masters are awaiting your arrival within the retreat with open arms. Spectrum Light Ray Master Teachings provides high vibrational teachings and calls to individuals with three weekly calls. Please check out the SERVICES we provide as you will not be disappointed. I am trying to recap what has happened with my life in the last couple of months. My friend, Mike, was here in late September through October for three weeks in which my essence changed greatly. He assisted me in realizing that Lady Isis was working directly with me as he saw her appear at the Mineral Baths. She acknowledged this in a channeling session, and it was time to fully embody my Goddess essence within me. Mike arrived back in Mt. Shasta about one month ago to fully partner with me in this pathway. What transpired is beyond my wildest dreams to fully feel the essence as I do on this day in December after six weeks of an amazing journey with Mike as I allowed myself to fully be in a trusting deep friendship that was growing with each passing day. This has been all guided by the Spiritual Hierarchy as each of us have changed greatly through this process and deeply found ourselves. I want to give honor to each of these Ladies who have decided to fully incorporate their energies into mine so I was able to embody the Feminine Divine more fully in the physical. This would not have been possible if I had not been able to fully allow Michael to take over part of my work onto others. The male aspect within me was very reticent to allow this to happen but my female essence knew that it needed to be done. I had been asking for a male counterpart to come into my life to assist me with my teachings that I could align with on all levels. What I did not realize was what I would have to surrender onto in order for this to happen. It is a deep journey within myself, and I want to share each phase with you so that you, in turn, may able to do the same in your own life circumstance. On this day I am no longer Christine although she is a major part of me in the existence of this body I inhabit and will always be so. With each passing day I have allowed these energies to surface within my Being and believe me, some of these moments have not been too pleasant to endure. But as always with each element I incorporate, I allow myself to fully look within and ask for answers of how to find the light within me once again. The other element is that Mike was able to be compassionate through each phase as he, too, was embodying the male Ascended Masters and intuiting these Lady Masters through my energetics. Mike and I realized some time ago that we had a pathway to forge ahead together. We were both very happy to do so with the intimate friendship that we had partnered onto each other. We both have worked very hard on our inner selves for many years and this partnership is a direct result of that deep work individually. We would had never been able to accomplish any of this without the security of our Higher Selves within our physical bodies and to fully integrate the four body system. For myself I had been working with these elements for almost 30 years through the ascension work of Dr. Joshua David Stone; Michael had his own processes that he worked through in other ways. But in these moments we are both acknowledging our knowledges and triumphs through the wisdom that we are impart onto each other and then onto others. This is my story of my essence of Meleriessee allowing her to be fully present within my physical vehicle. It is not without great challenges that this has happened for many years including the car accident I have spoken of many times. That shifted me into the allowance of letting the energetics to come fully within me so I could access these higher realms of frequency. With the integration of the Cosmic Great Central Sun as Divine Mother and Father God about seven years ago was the beginning phase of this pathway. They fully integrated their energies within me as it took almost two years and I nearly left because of it. 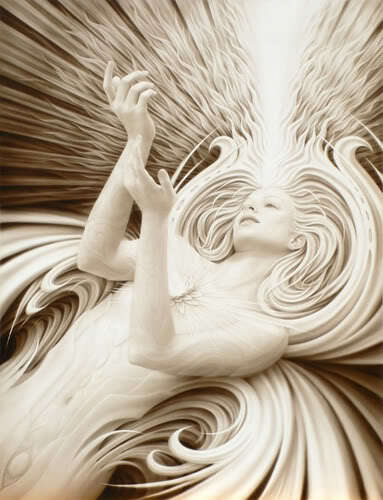 The acceptance of their Light into my Being was a feat within itself that totally changed my life. This also happened at a time when my parents had passed over and my relationship with them is deeper than I could ever imagine. They have joined the Spiritual Hierarchy in their specific ranks of creation. I then was able to be fully free, with no responsibilities to move onto Mt. Shasta, my home of my heart and deepness of my soul even though I had no clue what would happen on this journey or my arrival in my new location. This truly is a magical journey and it continues each moment as I intend it to be so in each experience I incorporate within my physical existence. 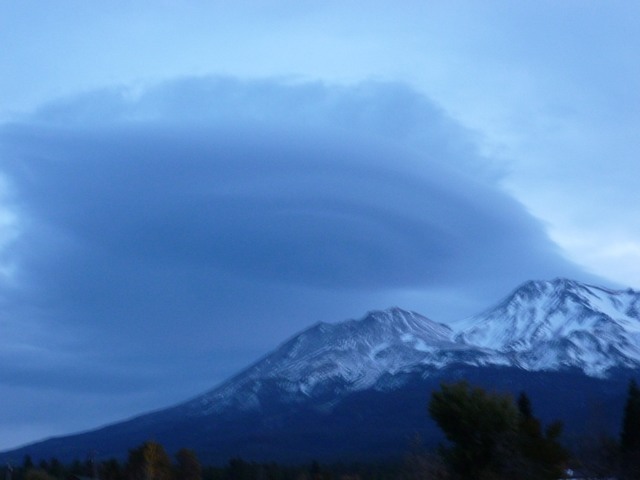 When Mike arrived, we decided it was important to connect with each other each morning through our hands thereby, accessing the energies ofMt.Shasta, Telos, the Higher Beings and receive guidance on what our pathway was to be each day. Without this process I do believe that we would not be in the state of Beingness that we have acquired individually and collectively. After our 11:11:11 ceremonies we were guided by Isis and Osiris to incorporate their essences within us and we would be trained to do the work as none others have done so. These are all moments of “pinch me please and make sure I am not dreaming”. Michael has become an amazing channel himself in such a short time and that in itself is assisting me deeply. We share this role on a personal basis to receive the guidance necessary from specific Masters, Light Beings, and Ascended frequencies. It was at this time that we were guided that each of the Lady Masters would fully incorporate their energies within me to share their Divine Essence to be fully incorporated within my essence. All of this has been very personal for me. 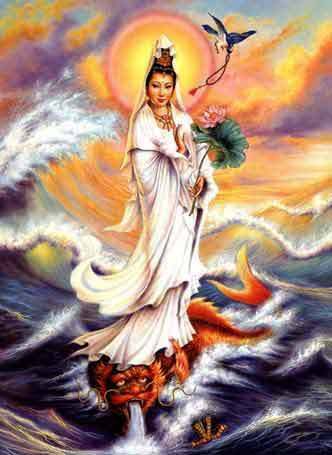 Quan Yin is a deep favorite of mine, and I know in a past life I worked very closely with her. She always has assisted me in many realms of thought along with showing herself inMt.Shastain her fully regalia a few years ago. At that time, I did not realize the depth of what was actually occurring with Quan Yin except I knew I had an amazing relationship with her. Of course, we all know that she is the Goddess of Compassion and Mercy. Since she was the first essence to be fully within me I felt that it would be an easy transition. Not so, my dearest friends. We can have great compassion for others but can we be compassionate with ourselves fully and surrender onto what we are experiencing. Her energies were very fluid but intense to say the least. They went into the core of my Being especially the Solar Plexus to fully align my highest purpose with my empowerment in that area. Now I had incorporated the chakras beyond the 5th dimension but this was a new experience. Her essence flowed through me and then she walked with me for about three days. 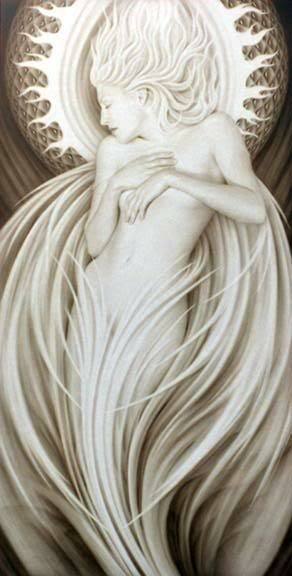 She helped me to realize my Divine Plan was to surrender onto the Feminine Essence completely. The male aspect no longer needed to be so active within my life. At this time, I was still struggling with the fact that I was releasing so much onto Mike of my work. But yet within me, Meleriessee showed Christine that it was necessary. This was the compassion that I needed within me. Lady Quan Yin showed me through her energetics that I could get through this process easily and effortlessly. I found that arising early and going outside to connect with the energetics of the mountain was very helpful for me to move into these new realizations. I have this ability of waking up with the energetics of what I have been working on through my essence in the Innerplane level. Sometimes these moments are not pleasant as they come into my physical existence. This was the beginning level and I endured frustration as a woman of independence that I was now giving that up onto the male essence as Michael. But yet I knew I could no longer do it alone and this was part of the process. As I breathed into each of these elements, I started feeling my essence shifting greatly. I deeply accepted the compassionate nature of Quan Yin within me and saw that it was my destiny to just relax onto this process. I felt myself just sitting within all of it and allowing it to expand within me as Christine started to feel this deep compassion. It was in these moments that I felt blessed to have been chosen for these elements to come within me. I started to fully allow the compassion to be in all parts of myself and especially the parts that I was not fully accepting within my whole totality. It was then at this time that Michael would receive Quan Yin’s essence through our daily energetics. It was just a frequency and helped him receive but in a different manner. I cannot tell you what it felt like to fully embody this essence within me because I, for one, probably have not been compassionate to myself on issues of self reflection that truly are reflected outside of myself. I believe this is something we may not fully understand to create the inner securities and Quan Yin assisted me with this. All the work I had done previously just allowed those inner fears to be removed as Mike moved into his role of the male aspect of the partnership. I could relax onto this as the insecurities were being removed as he was so very accepting of it to happen. He learned greatly through my process as I extended it onto him. Quan Yin worked with me for about three days and immediately a new Masters would appear. There was no rest for the weary except the body was being challenged in many ways. Sometimes I am awake at 4 a.m. and other times I cannot wake up. But what I do feel in each day that it is a new day as the shift has occurred within me. Lady Lakshmi was the next frequency to show herself onto me as I will share in the next phase of this journey. Her essence is so enlightening to me, and this is exactly what happened to my physical being. I thank each of you for being part of this journey with me as the realms of frequency only get deeper for me. This is allowing me to fully embrace my Divine Essence of Meleriessee and walk this earth in a 5th Dimensional Body. The journey continues each day, I am unsure how many Ladies will be coming through but I promise to share each one with you. Now that we have walked through the doorway of unprecedented changes upon the planet, we are faced with many challenges within our four body system. It is our time to fully rid ourselves of the debris we have been holding onto for eons of time in order to complete our soul’s pathway that they have planned for us. 11:11:11 was an amazing time of new frequency in which many individuals around the globe participated with groups of individuals for healing of the planet and ourselves. Here in Mt. Shasta I was gifted with the opportunity of a friend, Mike Hayden, who decided to move here. We are both from the East Coast and it is quite a journey that we have designed for ourselves. Lord Adama came to me about three weeks before the momentous event to tell me that Mike would be performing the ceremonies (Native style) and I would bring forth the energetics for that day. I was honored to have Mike stand by me but a part of me, felt a little reticent as I had always been the only facilitator. In keeping with my way of Beingness, I called upon the many masters to assist me accept this new role. It, in fact, would put me into a completely new state of connectiveness with the Spiritual Hierarchy. I learned that letting go of my male activation role, I would then be able to fully embody the Feminine Divine into my personal and professional awareness. It is not without a great challenge to a woman who has aspired for almost three decades to fully create these energies with magic, and ceremonial power, not to mention the logistics which truly was a big relieve. Having to handle both the male and female energies within me at the same time has not been an easy feat at all. I was assisted greatly from the Lady Masters who started to fully intuit their energies within me as preparation. I learned to fully let go of what has been and allow another to assist me in the great pathway I had diligently aspired to create. Mike fully took the reins and created an amazing day of six ceremonies in which we traveled around the area of the Mt. Shasta vortices to create a large energetic medicine wheel. We started on the mountain near Ascension Rock with a full medicine wheel ceremony. I brought in the Feminine and Masculine Divine energies of God. We also bought special stones for each of the directions. Our friend, Heather, joined us as a grounding cord between us as I represented the Feminine Divine and Mike represented the Masculine Divine. We then traveled in each direction of the East, to McCloud Falls, the South, to Hedgerow Falls in Dunsmuir, the West, to a stream of the Sacramento River near Mt.Shasta which we call Merlin’s Magical Stream, and then to the North, to a veteran’s memorial park outside of Weed. In each of the directions we had intuited that specific Lady Masters would be called upon to assist in the healing of the lands for 144,000 miles. We finished our last ceremony in the same spot near Ascension Rock (in the dark) activating the Divine Feminine and Masculine essence and closing off the energies. Mike and I are partnering in my work presently along with any other projects that Lord Adama and the Team of Light decide that we should be involved in sharing with others. It has helped me tremendously on the weekly calls as I no longer have to handle the logistics of working the phone line and Skype system. My energies have changed dramatically since November 11th and still continue through the process of having assistance being given. The letting go phase of my male frequency has truly accepted this role and blended within my female essence to be the Goddess of Light that I have been honored to accept. Now that we are moving through these energies, many individuals need assistance in the full body system to finally remove the dross and excess baggage of the many lifetimes. We have started a monthly course through Spectrum Light Ray Mastery Teachings to provide a journey through each of the chakras accessing the Rays of God for the 3rd, 4th, and 5th, dimensional frequencies to fully remove these elements that have been keeping us from accessing our full potentiality, “EMBRACING THE GOLDEN ENERGIES OF 11-11-11”. We are now at a time when these frequencies can be erased by utilizing the higher vibrational levels and this is a very powerful course. Our first class was held in November which was a journey through the Root Chakra. We are offering the recording and handout to all individuals in order to access this frequency, on LifeStationEarth.com, Audio & Video . Our next class takes place on Saturday, December 3rd at 11 AM Pacific via teleconference and Skype. Details are provided under Conference Calls & Classes. We hope that you will make an effort to download the information and decide to join us for the monthly class. Upcoming dates for 2012 will be provided in December. I will be sharing my journey of accepting my Feminine Divine fully within my physical existence. As women who have had to maintain a balance between both the male and the female essence in this world in order to survive; this is not an easy pathway. I guarantee you that it is well worth it when you step back from trying to control your destiny and allow your Higher Self to do the work in the balance of the Yin and Yang.